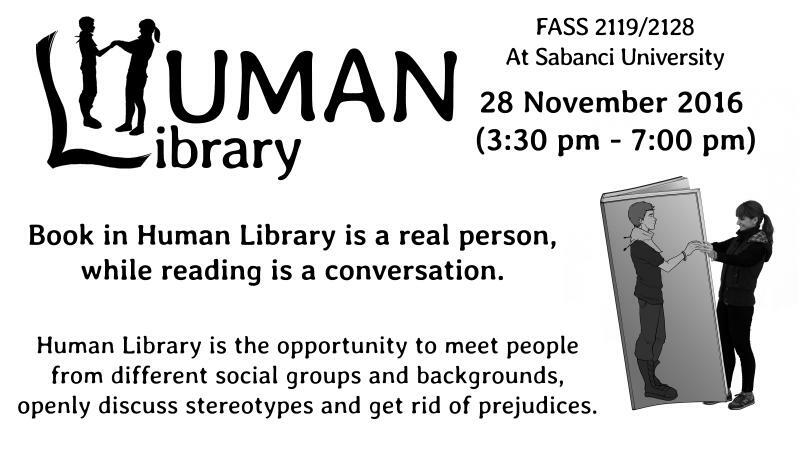 We invite you to Human Library which will be held at FASS 2nd Floor on 28th of November (today) between 15.30 – 19.30. Human Library is an international non-profit project dedicated to the diversity in our society, organized by volunteers. Human Library’s mission is to build a constructive dialogue between people from different social groups. Such a dialogue in an informal and safe environment helps to get rid of stereotypes causing discrimination against individuals or whole groups of people, and helps to raise the level of understanding and acceptance in society.